Is Your Community Prepared for an Event? 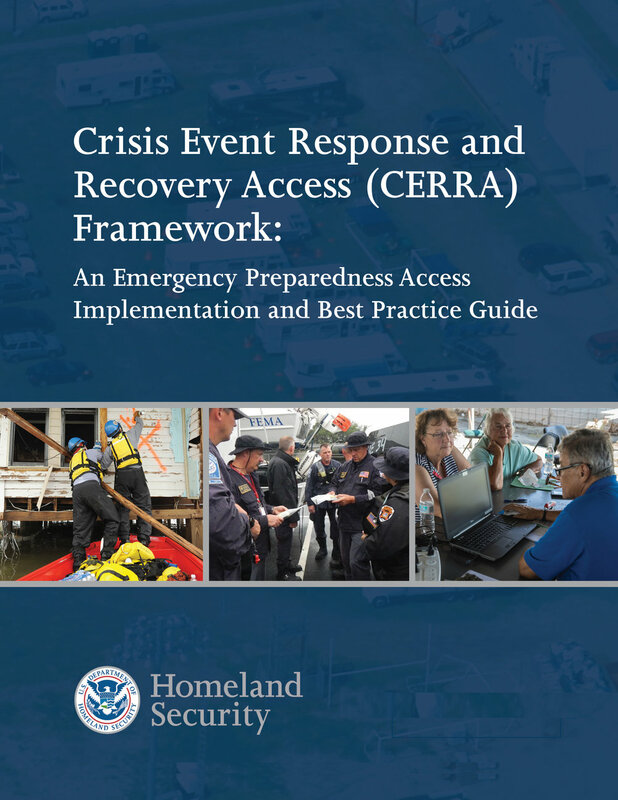 CERRA is a nationwide DHS and FEMA supported effort designed to ensure that all emergency access uses the same basic format across multiple local jurisdictions. The goal of this effort is to standardize one format for Reentry Access with a common backend infrastructure, while allowing the local jurisdictions the ability to adopt, create, and control access program's that fit their needs. Starting in 2018 a major outreach effort is underway to ensure that all jurisdictions are aware of and able to adopt or transition to the national standard. Our goal is to visit jurisdictions in all 50 states to ensure all organizations responding in an emergency response or economic recovery capacity are aware of the new national procedure.